Do you want to smooth away wrinkles, enhance your facial features and hydrate from within? 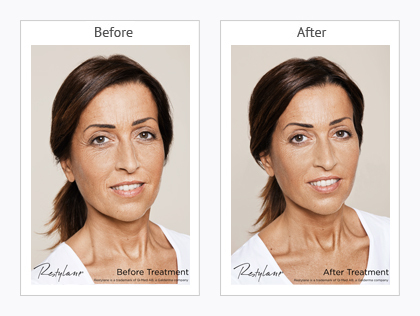 Dr Lina Kotecha uses Restylane Skinboosters to gently lift and smooth away lines and wrinkles whilst restoring your skin's natural hydration. Your skin deserves to look its best; hydrated and nourished so it looks fresh, natural and radiant. 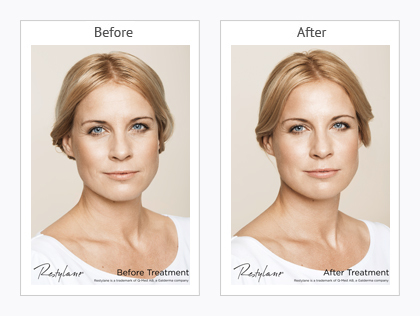 Restylane Skinboosters improve the skin's quality by boosting hydration levels deep inside the skin and increasing its smoothness, elasticity and firmness. You and people around you will notice a fresh and invigorated look to your skin. 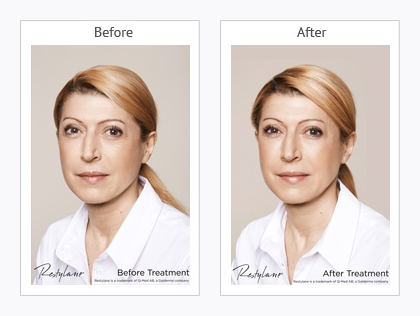 Restylane Skinboosters are a new approach to nourishing your skin, especially designed to deliver deep skin hydration. This means increasing hydration levels within the skin to deliver lasting moisturisation and improvement on the skins surface. 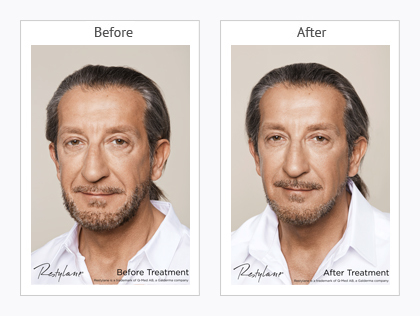 The treatment involves hydrating micro injections of Hyaluronic Acid. Water loving Hyaluronic Acid is found naturally in the body where it maintains hydration levels in the skin. As we age the quality of Hyaluronic Acid diminishes over time. 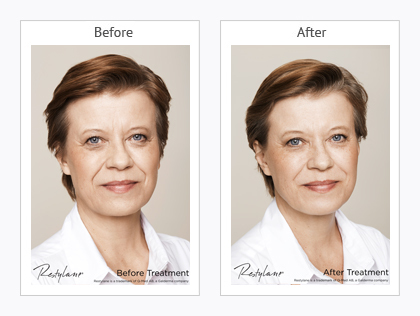 With Skinboosters the skin's firmness, elasticity, radiance and natural hydration is improved. 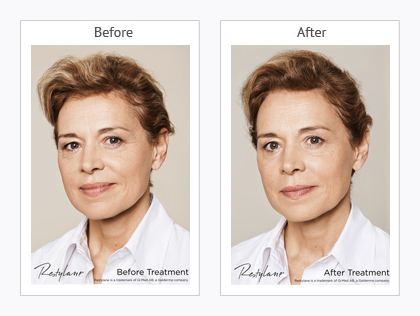 The Hyaluronic Acid in Restylane Skinboosters continues to work for several months after treatment offering a subtle gradual change in skin quality and elasticity resulting in a noticeably invigorated look to your skin. 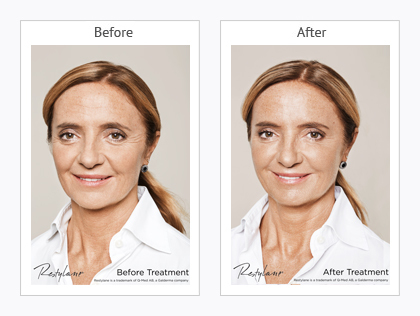 Restylane Skinbooster treatments consist of multiple very fine injections into the chosen area of the skin into the chosen area of skin in order to gradually improve skin quality and give it a healthy glow. Optimal results are for three treatments 3-4 weeks apart to maintain your wonderful skin it is recommended to have regular maintenance treatments approximately every 6 months. 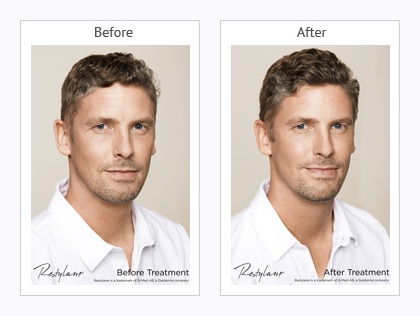 To ensure an optimal aesthetic result it is recommended that the initial treatment programme consists of three Restylane Vital or Restylane Vital Light treatments, at 2–4 week intervals and a top-up maintenance treatment every 4–6 months depending on product used. Skinboosters are not suitable for pregnant/breastfeeding women or anyone who suffers from severe allergies. If you've previously had cold sores around the mouth (facial herpes simplex), the treatment might provoke an outbreak.